Do you consider the special requirements when planning a facility? Do you want to carry out projects right from the start? 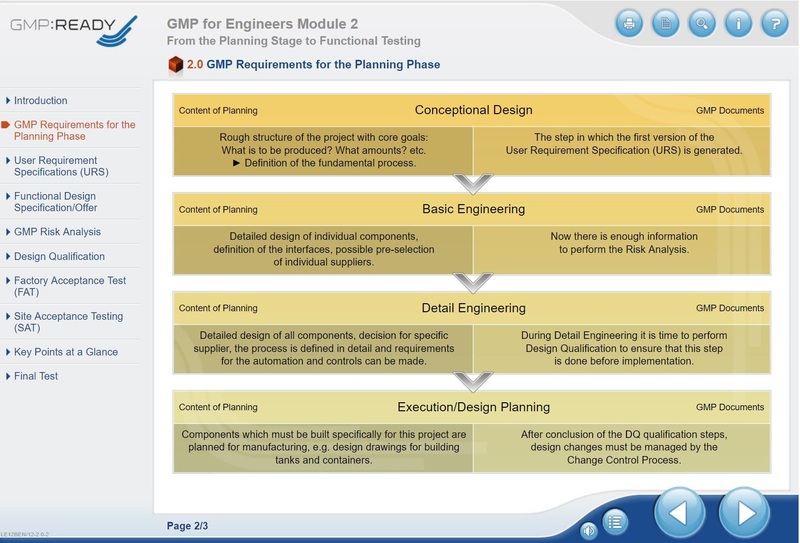 In this e-learning course you will learn more about the individual steps during the planning of technical systems and facilities. Starting from design qualification all the way to functional tests at the supplier and on site. This enables you to set up projects correctly! 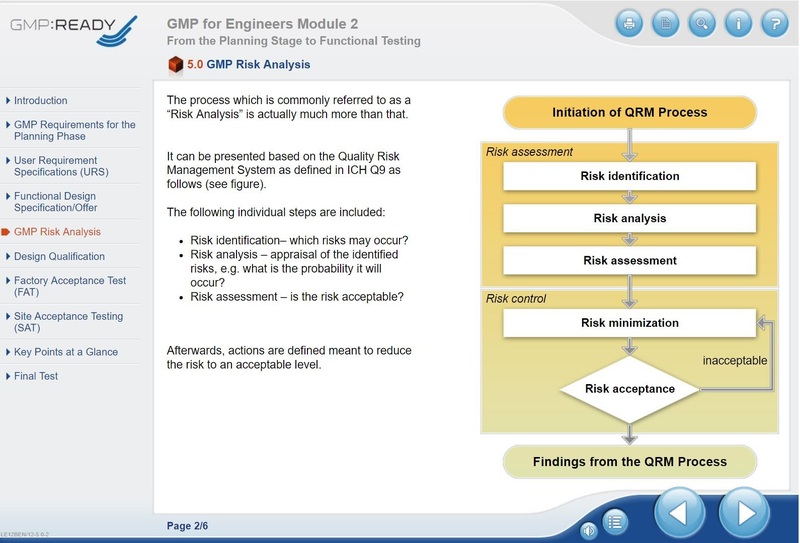 In a GMP-regulated environment, special requirements have to be taken into account right from the planning stages that are not to be found in any other industry. A project can only be successful regardless of its size if responsibilities are clearly defined and processes are adhered to. 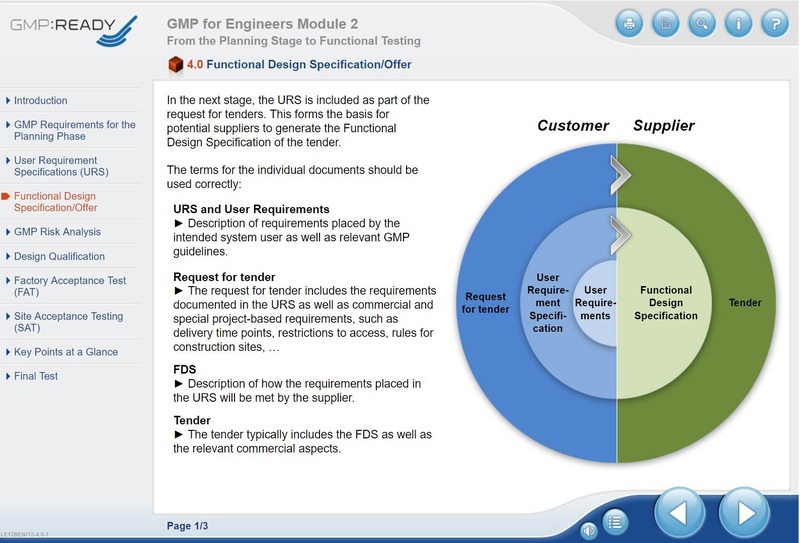 Learning Goal: Find out in detail the GMP-relevant aspects from the planning and design qualification to functional tests at the supplier's and customer’s site. This enables you to set up projects correctly right from the start.